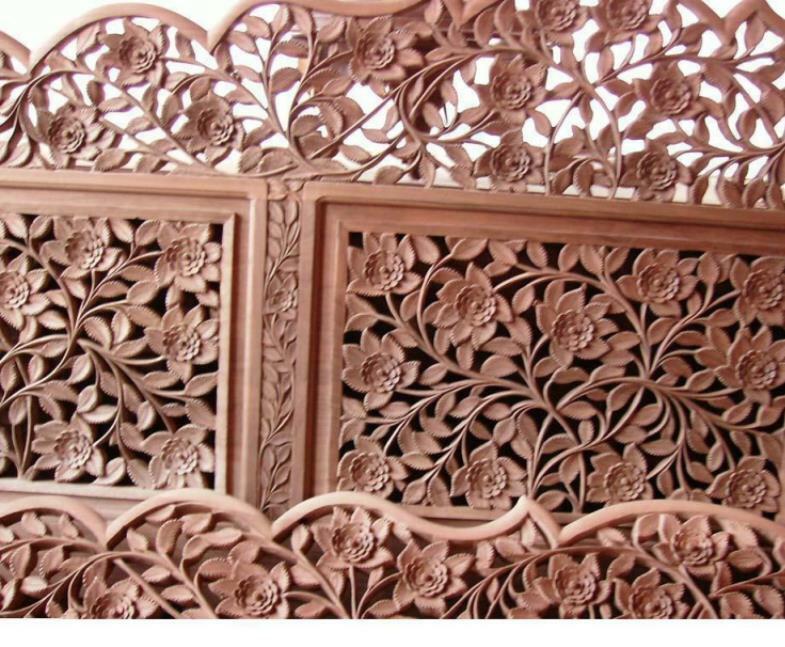 Walnut woodcarving is believed to have been introduced in Kashmir by Islamic missionary Sheikh Hamza Makhdoom during the reign of Zainul Abdideen in the 15th century. A variety of articles, both decorative and utilitarian, ranging from small items like bowls, trays, cigarette boxes, wall plaques and table lamps to screens, bedsteads and larger items of furniture are carved in walnut wood. 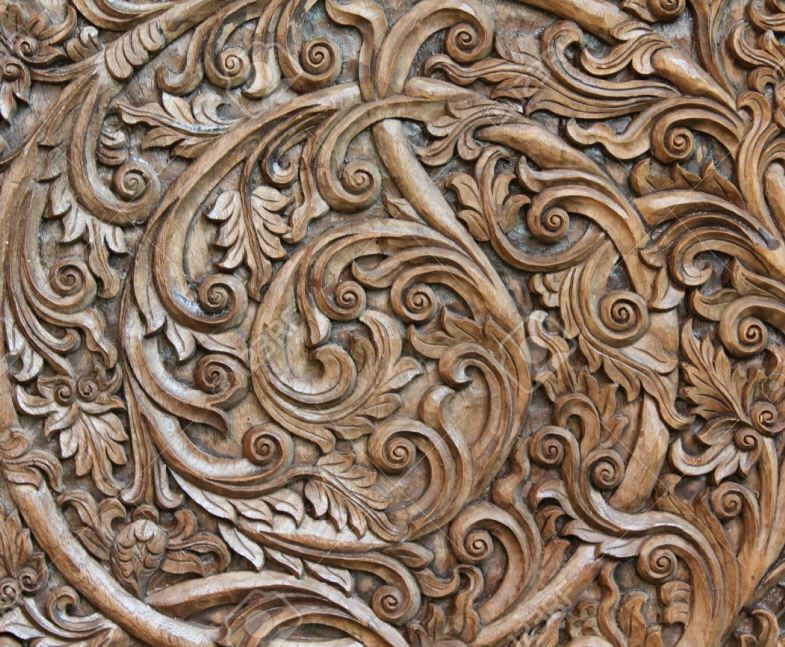 Four main types of carving are usually practised in Kashmir-raised, engraved, undercut and plain. The carving of furniture and smaller items is an elaborate process and involves high degree of skill and craftsmanship. The carving is done with the help of small indigenous tools. The art of wood carving is centred in the city of Srinagar. 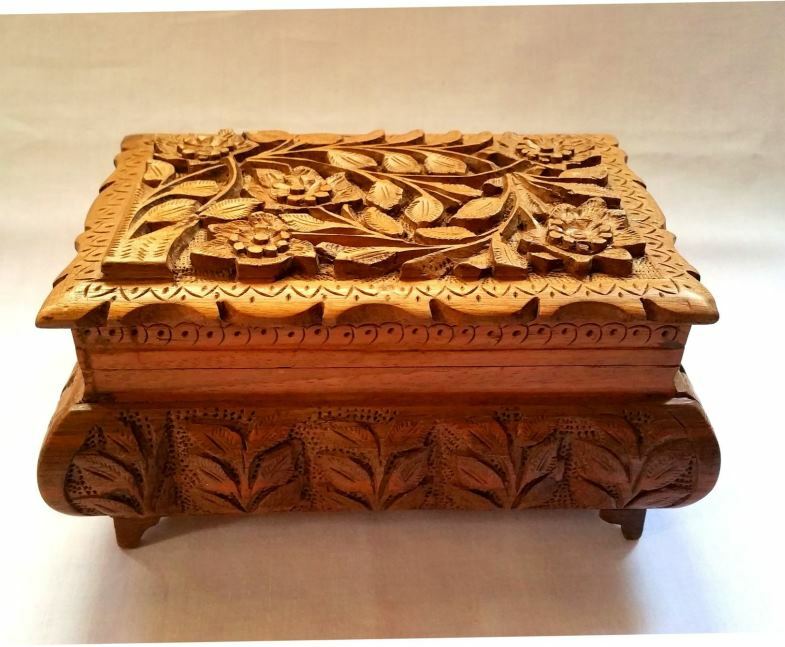 Carved walnut wood-work is among the most important crafts of Kashmir. Kashmir is now one of the few places in the world where walnut is still available at an altitude of 5500-7500 feet above see level. The wood is hard and durable, its close grain and even texture facilitating fine and detailed work. It also presents visually interesting effects with mere plain polished surfaces in fact in contemporary products, plain surfaces and small carvings are preferred, especially on trays, tables, bowls and similar items. The Kashmir craftsman, however, rejoices in carving intricate and varied designs. A variety of carved products bear recurrent motifs of the rose, lotus, iris, bunches of grapes, pears and chinar leaves. Dragon motifs and patterns taken from kani and embroidered shawls all find their place in wooden objects with deep relief carving.